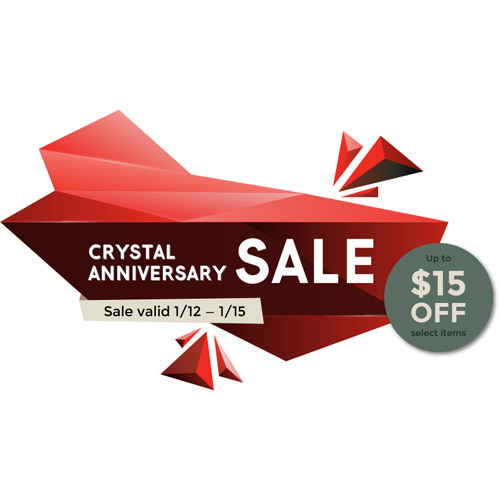 Don't adjust your screen, we're still having a sale to celebrate our Crystal Anniversary. Below you'll find an assortment of 15 popular products that originated over a decade and a half at SparkFun. We're offering discounts on these products to celebrate our anniversary. Today is the last day to grab deals so don't miss out! Unfortunately we couldn't dig up any old portable rotary phones to sell, but you can still make one if you like. Now on to the good stuff! Don't wait for 30 years; grab these deals today! Rules: This sale is for customer and guest accounts only. While supplies last; no rain checks. Sale runs from 12:01 a.m. on 1/12/2018 to 11:59 p.m. on 1/15/2018.